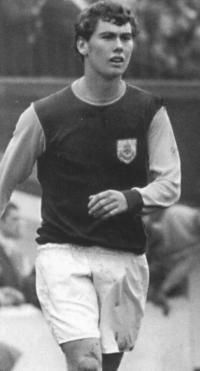 Fifty years ago today, Turf Moor staged one of those games that none of us who witnessed it are ever likely to forget, when Harry Potts’ young team took on Don Revie’s Leeds and gave them a real hammering. The story started at the beginning of October 1968 on what was a depressing afternoon when we finished on the wrong end of a 4-0 scoreline at home against Liverpool. Three days later, we played West Ham with no fewer than eight first team players unavailable for one reason or another. In came some of our younger players, and that included two who had only a few months earlier been in the team that had lifted the FA Youth Cup. With another home defeat expected, this new look team won 3-1 and with only Ralph Coates available to return, we then went to Stoke and won by the same scoreline. In the following midweek we beat Leicester 4-0 in the League Cup, but then came a different sort of test on 19th October 1968. Our opponents at home were Leeds. They were top of the league and had been beaten only once all season, and that at Maine Road against current champions Manchester City. Surely this was the day to bring back some of the more experienced players for what was going to be as tough a game as we would face all season. John Angus, Arthur Bellamy and Dave Merrington were all back in light training but not ready for a recall; Doug Collins, one of two recent signings, was suspended. That left just Andy Lochhead, Brian O’Neil and Jim Thomson but none of them were recalled and all had to be content with lining up for the reserves at Manchester City. To put this game into some sort of perspective. We lined up with an average age of 22, albeit with three future England internationals. We also had a Northern Ireland international on the bench. They, Leeds, the champions elect, fielded eleven full internationals and, just for good measure, their substitute was Scotland international Peter Lorimer. There was a nervousness about Turf Moor. The fans didn’t want to see their young team suffer an embarrassing defeat, but there was no need to worry. “Burnley’s slick, quick whiz-kids, impudent yet unblushing, gave Leeds their biggest thrashing for two years, winning an exhilarating Turf Moor match,” said Burnley Express Sports Editor Keith McNee. Keith, like the rest of us, had seen Burnley simply tear Leeds apart to record an astonishing 5-1 win, a victory of such assured football that even Revie had positive words to say about us. We needed to start well and start well we did. With just over twenty minutes gone we were 2-0 up and had the league leaders reeling. We were thankful for some generosity from goalkeeper Gary Sprake who allowed a Ralph COATES shot to bounce over him for the first goal, although it was a fully deserved goal inspired by a brilliant 50 yard pass from Dave Thomas to Frank Casper. Sprake had a reputation for mistakes and his next one was a bigger howler than the first, this time allowing a Coates cross to pass over his head and give CASPER the easiest of chances to head into an empty net. This was Leeds and we weren’t going to have it that easy, and within two minutes of that second goal they had pulled one back through captain Billy BREMNER, the goal coming after a corner was knocked down into his path. 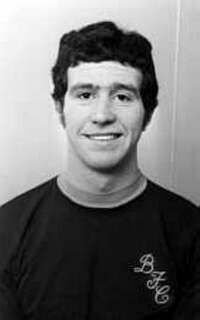 John MURRAY won the nickname of ‘Goal Machine’ during this run of results and once again he was on the mark as we restored the two goal advantage. He nipped in between Paul Madeley and Eddie Gray to win the ball and left Sprake rooted to the spot with his shot that took a slight deflection on the way in. There was no way back now for Leeds and Burnley turned on the style. England full back Paul Reaney was having a torrid time dealing with youngster Steve Kindon. Reaney was quick, very quick, but he’d no answer to Steve who beat him time and time again down the left wing. Kindon gave a brilliant show of pace and strength and with just thirteen minutes to go he put the result way beyond Leeds with Burnley fourth, and it all came from a Leeds free kick on the edge of our box. The kick was played in by Johnny Giles, but Colin Blant headed it out to Murray who in turn found KINDON. He once more left Reaney helpless and then rode a bad tackle (take your pick, Bremner, Hunter, and Giles were all playing) before blasting an unstoppable shot into the net. Turf Moor was rocking but the best was yet to come from the genius of CASPER, a player of all talents according to McNee. He collected the ball way outside the box, looked up and hit a delightful left footed chip into the top corner to complete the scoring. Revie described the brilliant Thomas as the most exciting prospect in Europe, and some seven years later it was Revie who gave him his first England cap. As for this young Burnley team, they were to win the next four games to create a new club record of eight successive wins. Burnley: Harry Thomson, Fred Smith, Les Latcham, Martin Dobson, Colin Waldron, Colin Blant, Dave Thomas, John Murray, Frank Casper, Ralph Coates, Steve Kindon. Sub not used: Sammy Todd. Leeds: Gary Sprake, Paul Reaney, Terry Cooper (Peter Lorimer 73), Billy Bremner, Jack Charlton, Norman Hunter, Mike O’Grady, Johnny Giles, Mick Jones, Paul Madeley, Eddie Gray.